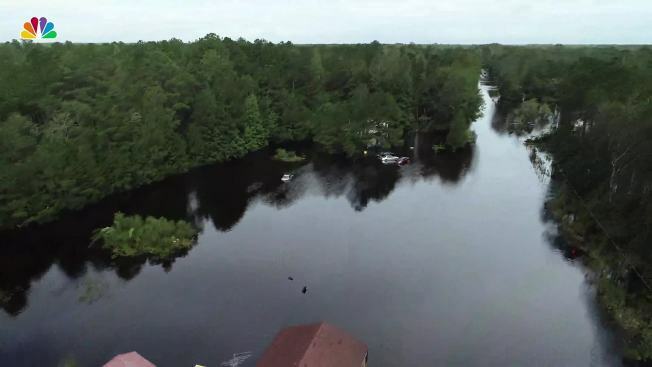 Nearly two weeks ago, when Hurricane Florence pummeled the Carolinas, the storm destroyed the trailer Army veteran Paganda Howard lived in with her husband and two daughters. Now she's like many others in this historic colonial town, forced to live with family in cramped and outright hazardous conditions, NBC News reported. Howard is currently staying at her sister's home, where a tree slumps against the roof and walls are warped by water damage. The family of four has joined her sister and six nephews, crowding into the modest three-bedroom home where clothing sits in wet piles and mold appears to coat the bathtub and vents. Many families are forced to live in unsanitary or unsafe conditions because they have no other choice right now. But Howard said finding adequate housing in New Bern has always been a challenge — the storm only served to show how dire circumstances have become for some. About a third of households in Craven County, where New Bern is the county seat, are considered cost-burdened by the North Carolina Housing Coalition. This means more than 30 percent of a family’s budget is committed to rent and utilities, and that’s because the average rent of a modest two-bedroom apartment in Craven County is nearly 20 percent higher than what the average renter here can afford, according to 2016 data collected by the coalition.